Leslie Smith is Founder and Principal of Coronado Financial Group, LLC, a state Registered Investment Advisory Firm. She has over 20 years of experience in financial services. She has earned and holds Registrations 7, 24, 26, 63 and 65. She is a licensed life and variable insurance agent. 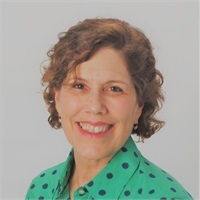 She is a Registered Representative and Registered Principal with SagePoint Financial, Inc.
Leslie is often asked to speak about the wealth management, investment and risk management strategies she employs. Securities offered through SagePoint Financial, Inc., a registered broker-dealer and Member FINRA and SIPC. Financial Planning and Advisory Services offered through Coronado Financial Group, LLC an Independent Registered Investment Adviser not affiliated with SagePoint Financial, Inc.